Oh wow! 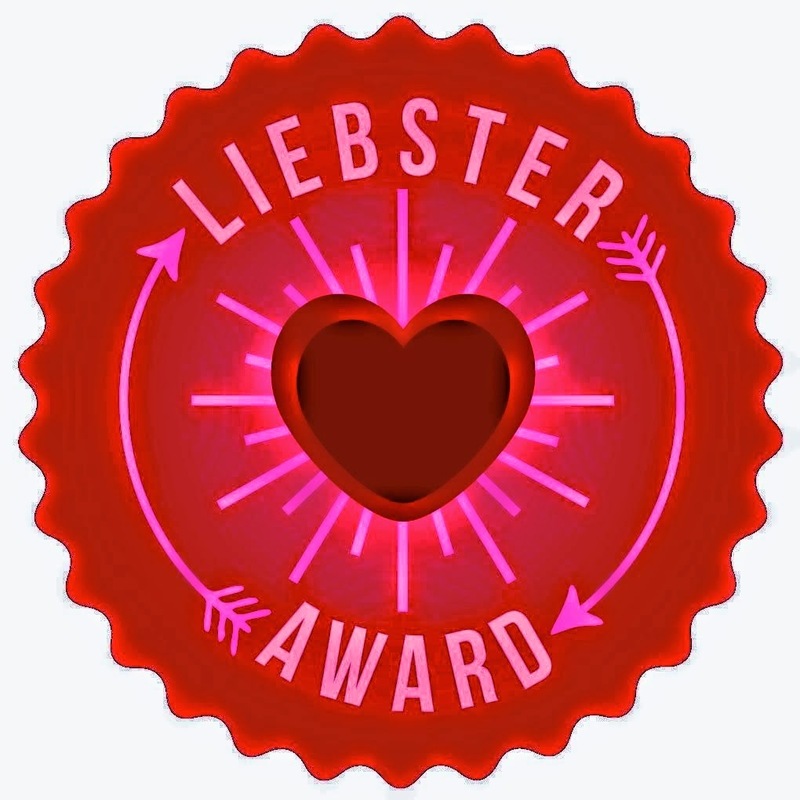 I got nominated for the Liebster Award by Nina at Nina's Style Blog. So today I'm going to dedicate this post to the Award. Maybe you'll learn something interesting about me by the end of this blog! haha! Answer 11 questions posted by the presenter, and ask your nominees 11 questions. I am deathly afraid of fire. I love to sing, but I'm terrible at it and therefore only do it in the car by myself. My fiance and I have the same favorite colors - purple and red. I feign being clueless when I know exactly what's going on. I only made a twitter to connect with other bloggers. My family doesn't know I run a blog. I've had trichotillomania since I was 14 - and I still bite my nails. I love laying on the beach, at night, and staring up at the starry sky. I live my life openly, and without many regrets. Some of these things seem contradictory, but if you want to hear the full story write it in the comments and I'll be sure to elaborate for you. Now to answer Ninas questions! What inspired you to start blogging? I really just wanted to start to document my life and what was happening. What inspired me and the person I was at the moment. I just wanted to make it public. What is your favorite color? Royal purple and blood red. Funniest memories from your childhood. Probably my Dad being drunk and singing the Brady bunch theme song. And then my Mom, brother, and I chiming in. Your favorite beauty brands. I don't really have a favorite. Its really whatever is currently working for me. And I switch around a lot. 3 things you will never leave home without. Beauty items? Lip Balm, Liquid Liner, and eyebrow filler. Have you traveled to other countries? If so, what was the most interesting thing about it. Okay so, I've never left the country. I've been to Hawaii! Which is technically not attached to the states. If you could get your 3 deems come true, what they would be? My 3 dreams... Unrealistically: I'd love to fly like a bird! But in reality, I'd like to be financially stable enough to not have to worry, and I'd really love to be able to be able to have horses? Are those too lame...? What's your profession? I currently work as the IT Manager/Jr. Software Engineer/Techie for a small business. Favorite dessert. Chocolate ice cream, with hot fudge, strawberries, peanut butter, and marshmellow. Ugh, so good! What are you obsessed with? I'm currently obsessed with Big Fish games and their hidden object games! Favorite singer/band. I will always have a place in my music soul for Gorillaz and Eminem. And I nominate: Anyone who currently follows me and I follow back. Do you have any pets? And if you do, what are their names and what are they? Who is your favorite Superhero/ine? If you could only put one product on your face, what would it be? Do you enjoy working out/exercise? What is your most used app on your phone? Short actual update: This is late and I know! AT&T was supposed to make it to my house & fix my WiFi but they never made it. I should be getting internet at my apartment tonight. And then tomorrow you'll get an apartment update! Yay! Make sure to leave any comments or questions below! Cute blog, btw. I love those shorts in the latest post.